Tuned vehicles burn more fuel, which at a certain performance level can no longer be supplied by a standard high pressure fuel pump. 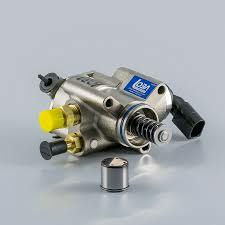 Our high pressure fuel pumps have been especially designed for use in tuned racing and road vehicles. They supply the necessary pressure and fuel, even at high performance levels. Our turbochargers have undergone complex optimization processes and modifications. The actual upgrades vary depending on the model. Tuning often begins with software optimization, but the existing vehicle reserves are quickly maxed out and the maximum performance achieved. Achieving even higher performance levels is only possible with hardware modifications. For charged turbo motors, replacing the standard turbocharger for a more powerful Upgrade Turbocharger is a smart option. Our Upgrade Turbochargers are designed and optimised specifically for the tuning and racing industry. All of our models are adapted to fit a specific type of motor or vehicle. This enables the production of customised products which help achieve significantly higher performance levels. In many cases, our Upgrade Turbocharger can be installed without the need for further vehicle hardware modifications. But it does make sense to carry out further modifications, to get the most out of our products. Software adaptation for our turbochargers is essential; a clearly improved turbocharger also requires clearly improved software. By increasing 30% dampening and spring rate than street setting; it can absorb the impact of uneven pavement. 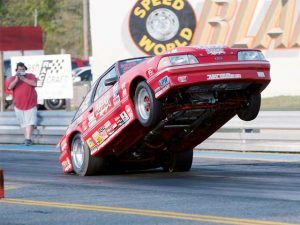 It is able to absorb the jolt when across a big bumps, effectively suppress shock body and to increase tire’s traction. Vehicle stability makes you can experience perfect handling. All the settings from our Top Sport racing experience. It is suitable for track day and aggressive driving. Monotube design, and lightweight aluminum bottom mount. 30-way adjustable damping, designed for Top Sport race. Do not recommend in rally gravel use. Each kit comes with pillowball top mount on both front and rear, which enables you to experience excellent handling ever. 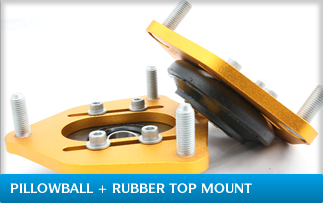 All the pillowball top mounts in McPherson strut with camber adjustable. Feature of inverted mono tube design is suitable for use in Top Sport coilover system. It keeps damping stability on the uneven road. With larger piston diameter of 45mm, and shock body 51.5mm, it can bear the side way aggressive strong movement. Increase the amount of oil effectively inhibit the oil temperature rise, it can make coilover keeps excellent performance in intense manipulation. A moveable lower mount is adopted. Either ride height or pre-load can be adjusted by the adjusting bottom mount. Shock body made by steel, therefore, it can sustain strong side way gravity. With steel material (SPHC-C), it can enhance its strength. Furthermore, it can avoid unusual movement after wheel oriented for a while driving and improve lower mount distorted problems which is caused when turning. Because there is no such problems like turning steering wheel, it made by aluminum material (A6061)to reduce the weight and enhance the ability to dissipate heat. Top Sport type damper has 30 different way of damping settings enables our products to bring the best performance for different top sport. All thread parts are coated with Fluorine to prevent corrosion or adherence. The lower mount is made with forged or anodized. All the products made with steel are go through rigid test system. Each application comes with pillow ball top mount which can enable you to experience the driving feel directly. All parts are made by high quality (SAE9254). Top Sport damper is equipped with the springs that have the most perfect spring rates. Made with steel (1008A), and forging with high-pressure. With its hardness, it can prevent loose problems when turning McPherson lower mount. 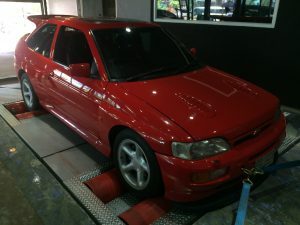 This coilover is special designed for Sport Spec. It keeps damping stability on the uneven road. Each kit comes with pillowball top mount on both front and rear, which enables you to experience excellent handling ever. All the pillowball top mounts in McPherson strut with camber adjustable. However, because of the design it is easy to create some slight unusual sound when come across big bumps. Basically, all kind of racing coilover is design for performance at special road and is not suggested to be used on road. WTCC. 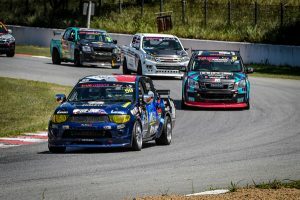 In some circumstances, particular custom-made shock absorbers are available for those cars that have aggressive upgrades like factory’s racing vehicles or A-class racing cars etc…You may provide us with detailed info on all upgraded parts in your car and what circuit you will run, and we are able to make custom shock absorbers for your personal car. Top of the line racing damper. Linear spring SAE9254, the higher rigidity material. 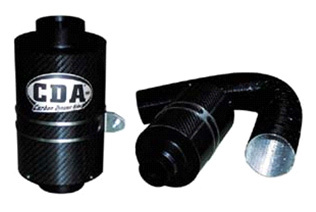 30-way adjustable dampening to be able to function and work for different types of tracks. Ront and rear top mounts with camber adjustment to increase handling feel. Each application comes with pillow ball upper mounts on both fronts and rears, which enable you to experience excellent handling. This can not compare to the OE one. Any pillow ball top mount on McPherson strut has camber adjustability. Mono-tube design is adopted for this coilover system as it can retain stable damping and have varieties of response to the road conditions. Larger piston diameter of 45mm, and shock body 51.5mm. Based on different models and order requirements, we can make the best damping setting which is suitable for tracking race. Fully-adjustable lower mount We use adjustable lower mount; both ride-height and pre-load can be adjusted by adjusting the bottom mount. Use of aluminum material enables to reduce weight. Steel material (SPHC-C) is adopted to avoid unusual shift phenomenon after the tire positioning and driving for periods and to improve the deformation of lower mount caused by steering pressure. Due to no turning resulting pressure problems, use of aluminium matiral (A6061) to reduce the weight and to have ability to dissipate heat. Racing spec damper has 30-way damping settings to bring the best performance and function for different kinds of tracks. Each application comes with pillow ball top mount to enable you to experience the driving feel directly. Race spec damper is equipped with the springs that have the most perfect spring rates. Using high-density polyurethane (PU) to avoid substantial bounce when the coilover bottoming out and reduce the bump cause by bottom-out. igh speed turning in order to make a perfect angle. It can also enhance drifting performance. 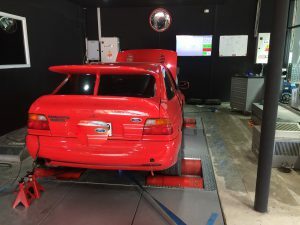 After lowing the ride height with proper bump stroke, you will realize how we made the drift controlling to the excellent condition. Mono inverted tube design (McPherson strut). Do not recommend in road use. Each kit comes with pillowball top mount on both front and rear, which enables you to experience excellent handling ever. This is can not compare with rubber top mount. All the pillowball top mounts in McPherson strut with camber adjustable. All of McPherson suspension adopted in mono and inverted tube design. It keeps damping stability on the uneven road. With shock body 55mm, it can bear the sideway aggressive strong movement. A moveable lower mount is adopted. Both ride height or pre-load can be adjusted by the adjusting bottom mount. Shock body made by steel, therefore, it can sustain strong sideway gravity. Drift type damper has 30 different way of damping settings enables our products to bring the best performance for different road conditions such as street, expressway, winding road…etc. The shock uses needle valve to have linear damping adjustment at each level. Each application comes with pillow ball top mount which can enables you to experience the driving feel directly. Drift damper is equipped with the springs that have the most perfect spring rates. In addition, the rear shock comes with helper spring on some certain applications. Made with steel (1008A), and forged with high-pressure. With it’s hardness, it can prevent loose problems when turning McPherson lower mount. This is the most popular and functional product, which is developed for years by XYZ professional team. After tested in famous worldwide races, it reaches the ultimate quality and performance. Street Advance is made especially for normal road use or track day. It comes with 720 damping adjusting way to satisfy your request. It is indispensable equipment for drivers aspiring speed and controlling. The most popular for all types of suspension in the world. One year limited warranty; send back for repair. With 2 adjustment knob: to adjust the dampening force of rebound and compression separately is available. Each application comes with pillow ball upper mounts on McPherson suspension, which enables you to experience excellent handling. This cannot compare to the OE one. About 98% pillow ball top mount on McPherson strut has camber adjustability. Mono-tube design is adopted for this suspension system as it can retain stable damping and have varieties of response to the road conditions. It extends the of oil for the piston diameter of 45mm. The shock body 45mm steel (STKMI3C) though precise process to get the highest performance and quality. With the external nitrogen reservoirs, to adjust the dampening force of rebound and compression separately is available. 720 ways of different adjustments can meet all customers’ needs and win the 1st place in every race. The spring use SAE9254 materials for spring to avoid changing shape. The setup of spring rate will be perfect due to test thru XYZ racing team all around the world. This is making up of high density of polyurethane (PU). This can absorbed the strong impact force and protect the strut. This is different from rubber, the force bearing and bottom impacting is better. The anodized surface treats by lightweight aluminum (A6061), and then produce in second CNC process. This not a cylinders only, also have circulation and heat dissipation to prevent temperature rise. Main piston is in the strut inside for adsorbing the reaction force from spring, and the other one is in the plug-in nitrogen bottle for assist the impact on the spring. This style of suspension kits is specifically designed for maximum performance so each application is equipped with pillow ball upper mounts on McPherson suspension which are able to increase vehicle stability and enable you to experience excellent handling. Most pillow ball top mount on McPherson struts has camber adjustability. This is the best design, on the competitive version such as Racing Spec, Drift Spec, Tarmac Rally. This is the ultimate boutique for racing in many international athletics tracks, and test for a long time. This is for purchase handling high performance and the essential partner in different racing. 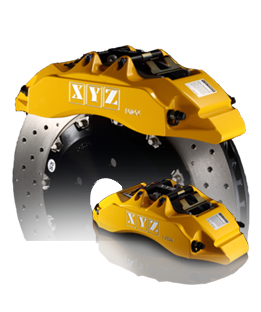 Circuit Master Damper is tested through XYZ racing teams all over the world. 9720 ways of different adjustments can meet all customers’ needs and win the 1st place in every race. 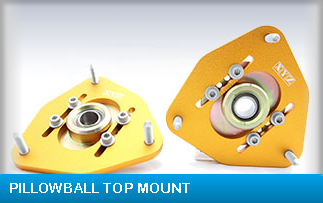 Top design for all types of suspension in the world. Not suitable for street use. With 3 adjustment knob: to adjust the dampening force of rebound and compression separately is available. Each application comes with pillow ball upper mounts on McPherson suspension, which enables you to experience excellent handling. This cannot compare to the OE one. Most of pillow ball top mount on McPherson strut has camber adjustability. Mono-tube design is adopted for this suspension system as it can retain stable damping and have varieties of response to the road conditions. This larger piston diameter of 45mm. The shock body 45mm steel (STKMI3C) though precise process to get the highest performance and quality. With the external nitrogen reservoirs, to adjust the dampening force of rebound and compression separately is available. 9720 ways of different adjustments can meet all customers’ needs and win the 1st place in every race. The setup of spring rate is designed for Circuit Master Damper of many purposes, such as racing spec, drift spec, and tarmac rally. The spring rate will be perfect due to test thru XYZ racing team all around the world. This style of suspension kits is specifically designed for maximum performance so almost application is equipped with pillow ball upper mounts on McPherson suspension which are able to increase vehicle stability and enable you to experience excellent handling. Most of pillow ball top mount on McPherson struts has camber adjustability. However, the pillow ball top mount might be prone to creating slight amount of noise over big bumps due to performance feature. The basic premise behind all racing shocks is to enhance performance by sacrificing ride quality so road use is not recommended. 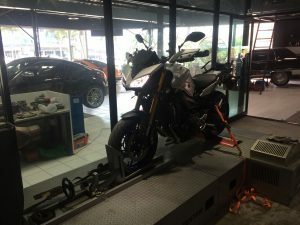 Miyagi Motorsport Pattaya is equipped with the latest generation Dyno for 2 and 4-wheel drive vehicles as well as for motorcycles. The design of bigger vents provides a better function of heat dissipation. The surface of the aluminum centerbell is anodized. It will provide a better durability. The design of a two-piece disc can effectively reduce the weight of the brake system. Aluminum 4 POT caliper (Standard color: Painted red, painted yellow, painted gold, painted black or any other painted colors by customization). High stiffness brake bracket with high ductility bolts. Stainless steel Teflon brake lines. GG level high performance brake pads (Sport and Race brake pad are available as well. discs can provide a better structural strength. This 286mm brake system is suitable for a 15 inch or a larger wheel. The center bells are made of aluminum. They are equipped with the characteristics of lightweight, good heat dissipation and high structural strength. The surface is processed with anodization. It makes the center bells harder, increases the durability of weathering, the duration of usage and beautifies the appearances. High performance aluminum 4 POT calipers The standard colors are Painted red, painted yellow, painted gold, painted black, any other painted colors You can choose any other painted color to fit your car. 90% car models are with the inner drum design. The brake systems can retain the OE handbrake function. 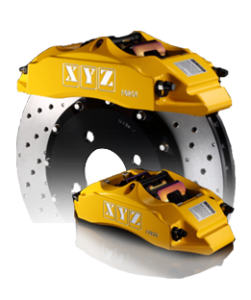 The discs from XYZ are the best choice of high performance car models. Ventilated ribs with large diameter can smoothly lead in a great amount of airflow from inside to outside. It will make a better function of heat dissipation. The design of drilled discs can enhance friction factor, reduce the weight of discs, take out the high temperature immediately produced from working, and keep stable braking function. The thickness, 26mm, of the discs can provide a better structural strength. This 286mm brake system is suitable for a 15 inch or a larger wheel. The center bells are made of aluminum. They are equipped with the characteristics of lightweight, good heat dissipation and high structural strength. The surface is processed with anodization. It makes the center bells harder, increases the durability of weathering, the duration of usage and beautifies the appearances. 90% of car models retain the inner drum design. If you use this brake system, you can retain the OE handbrake function. 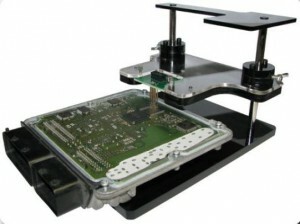 The inner drum design is specified for handbrake function, not for drifting. High performance aluminum 2 POT calipers The standard colors are Painted red, painted yellow, painted gold, painted black, any other painted colors You can choose any other painted color to fit your car. 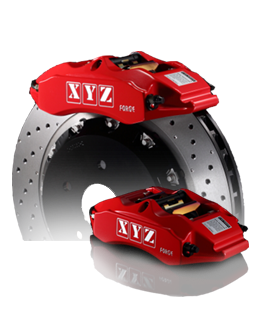 The discs from XYZ are the best choice of high performance car models. Ventilated ribs with large diameter can smoothly lead in a great amount of airflow from inside to outside. It will make a better function of heat dissipation. The design of drilled discs can enhance friction factor, reduce the weight of discs, take out the high temperature immediately produced from working, and keep stable braking function. The thickness, 28mm, of the discs can provide a better structural strength. This 303mm brake system is suitable for a 16 inch or a larger wheel. Two-piece type 303x28mm drilled disc x2 pieces. Lightweight aluminum center bell x2 pieces. Aluminum 2 POT caliper (Painted red, painted yellow, painted gold, painted black, anodized black or any other painted colors) x2 pieces. High stiffness brake bracket x2 pieces. Metal brake line x2 pieces. High performance brake pad x4 pieces/ 1set (Sport and Race brake pad are available as well). Package for tools x1 set. 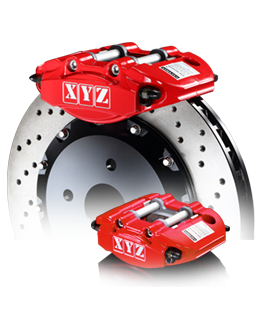 The discs from XYZ are the best choice of high performance car models. Ventilated ribs with large diameter can smoothly lead in a great amount of airflow from inside to outside. It will make a better function of heat dissipation. The design of drilled discs can enhance friction factor, reduce the weight of discs, take out the high temperature immediately produced from working, and keep stable braking function. The thickness, 32mm, of the discs can provide a better structural strength. This 330mm brake system is suitable for a 17 inch or a larger wheel. XYZ’s floating discs are available for 330mm, 355mm, 380mm, 400mm, 420mm, 444mm. 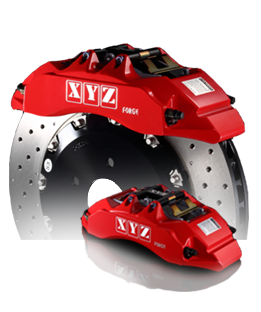 XYZ provides floating discs for 380mm, 400mm, 420mm and 444mm brake systems. No extra fee required. High performance aluminum 6 POT calipers The standard colors are Painted red, painted yellow, painted gold, painted black, any other painted colors You can choose any other painted color to fit your car. 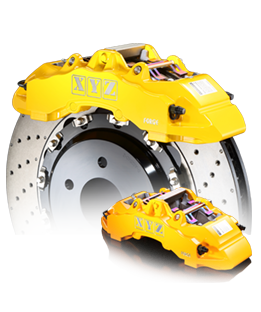 The discs from XYZ are the best choice of high performance car models. Ventilated ribs with large diameter can smoothly lead in a great amount of airflow from inside to outside. It will make a better function of heat dissipation. The design of drilled discs can enhance friction factor, reduce the weight of discs, take out the high temperature immediately produced from working, and keep stable braking function. The thickness, 32mm, of the discs can provide a better structural strength. This 355mm brake system is suitable for a 18 inch or a larger wheel. Aluminum 8 POT caliper (Standard color: Painted red, painted yellow, painted gold, painted black or any other painted colors by customization). GG level high performance brake pads (Sport and Race brake pad are available as well). 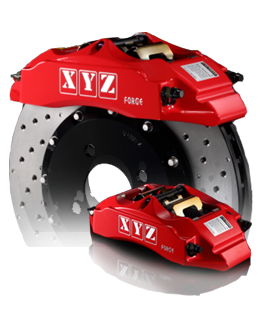 The discs from XYZ are the best choice of high performance car models. Ventilated ribs with large diameter can smoothly lead in a great amount of airflow from inside to outside. It will make a better function of heat dissipation. The design of drilled discs can enhance friction factor, reduce the weight of discs, take out the high temperature immediately produced from working, and keep stable braking function. The thickness, 32mm, of the discs can provide a better structural strength. This 380mm brake system is suitable for a 19 inch or a larger wheel. High performance aluminum 8 POT calipers The standard colors are Painted red, painted yellow, painted gold, painted black, any other painted colors You can choose any other painted color to fit your car. 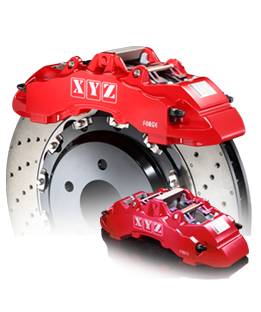 The discs from XYZ are the best choice of high performance car models. Ventilated ribs with large diameter can smoothly lead in a great amount of airflow from inside to outside. It will make a better function of heat dissipation. The design of drilled discs can enhance friction factor, reduce the weight of discs, take out the high temperature immediately produced from working, and keep stable braking function. The thickness, 36mm, of the discs can provide a better structural strength. This 400mm brake system is suitable for a 20 inch or a larger wheel. Two-piece type420x36mm drilled disc x2 piece. 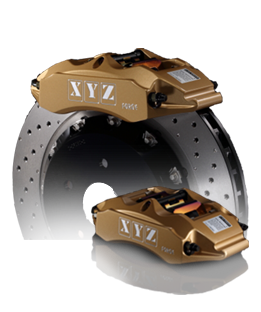 The discs from XYZ are the best choice of high performance car models. Ventilated ribs with large diameter can smoothly lead in a great amount of airflow from inside to outside. It will make a better function of heat dissipation. The design of drilled discs can enhance friction factor, reduce the weight of discs, take out the high temperature immediately produced from working, and keep stable braking function. The thickness, 36mm, of the discs can provide a better structural strength. This 420mm brake system is suitable for a 21 inch or a larger wheel. 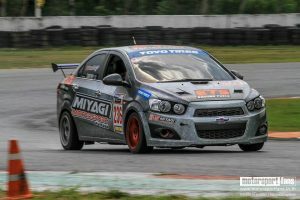 Miyagi Motorsport is the official ETS RACING FUELS distributor for Thailand. 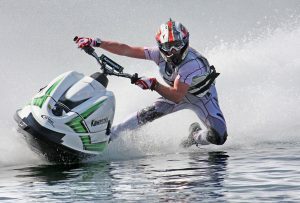 A full range of premium, cutting edge racing fuels from ETS is produced for use with motorbikes, cars and water sport equipment. 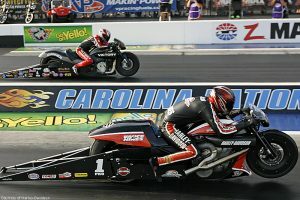 More than 50 national and world racing titles have been won with factory and private teams using ETS Racing Fuels. This was done by opting for different strategies and methods than used by competitors even if they were more expensive. The strong and long term partnerships held by ETS Racing Fuels are a reflection of its capabilities and superior racing fuels. – Air/fuel ratio, ignition advance must absolutely be checked and re-tuned to reach optimum performances. Ignition and injection mapping or carburetor jetting are strongly recommended to be adapted. – In order to maintain the original properties, and according to Health and Safety regulations of commercial fuels, this gasoline shall be handled and stored in a cool place, well ventilated, away from any source of ignition or moisture and always maintained in tightly shut drums. In addition, refer to your local regulations. 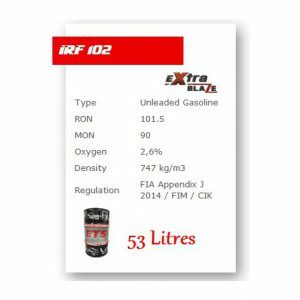 Good value for money, IRF brings more power and very good consistency if we compare it to pump station fuel or with competitors fuels which are basically low prices oriented. Can be used on Atmo and Turbo engines. 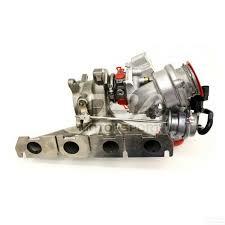 Can be used for 2 and 4 strokes engine, Atmo, or Turbo. On Seadoo race engine (360 HP), you’ll get 11 HP more than AVGAS fuel and 8 HP more than our best competitor fuel. On a Kawasaki Ultra 300 X engine stock you get 6 horses more than the RON99 from Finish petrol stations. Depending on your type of engine, your compression ratio, and especially your efficiency in settings, carburation, ignition, you’ll be able to see great improvement. 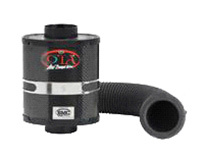 Can be used for supercars or any track racing normal aspirated or turbo engine, when FIA fuel regulation is not applied. Its high oxygen contact, high combustion energy allows mappers & drivers to feel the huge advantage using this fuel. Specially recommended in countries where humidity is high as this fuel protect the engine from corrosion as it doesn’t contain any trace of ethanol. Diesel fuel with high cetane number. Allows to get a very good performance with easy engine setting. 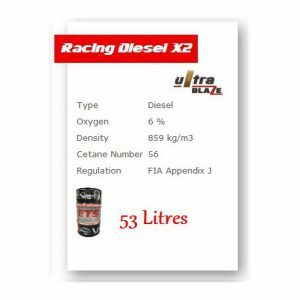 Can be used on track races, rally, trucks races or run with diesel cars. 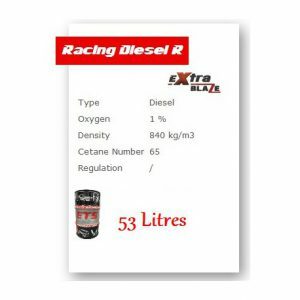 The only FIA regulated diesel fuel with a high oxygen content which enables great performances after mapping adjustment. Formulated with bio components, this fuel can support federation to promote clean races. Contains up to 10 % of biocarburant. Increased performances for competition truck or light duty engines. 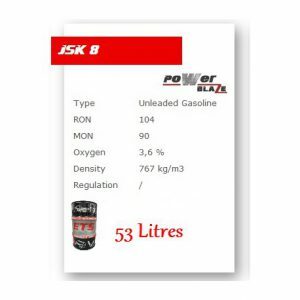 Very high octane fuel, especially blended for supercharged and turbo charged engines or natural aspirated engines with very high compression ratio. Due to its high combustion speed and high combustion energy, P14 fuel develops performances especially during transient rates giving better acceleration and decreasing turbo response time. This operation is the same for passenger vehicles, 4 × 4 vehicles, utility vehicles, camping-cars or trucks. This is to ensure the good health of your vehicle. We collect and save the original program contained in your engine management ECU. The original program is modified. 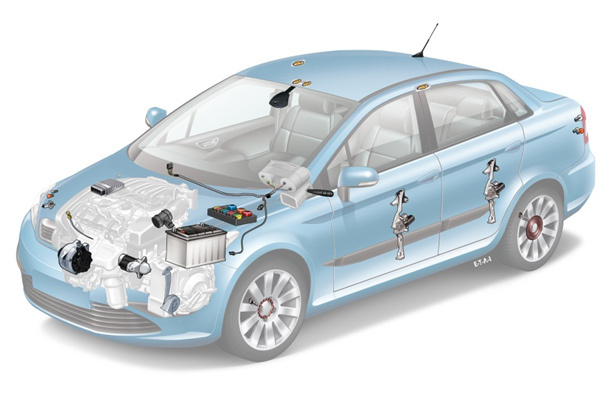 The latter will optimize the characteristics of your vehicle based on your original program. All settings have been developed on a test bench and the gains we are announcing were measured and verified. Our goal is to allow the customer to be aware of the change as soon as he returns to his vehicle. • If the customer is satisfied: we validate the intervention. • If the customer is still not satisfied: we are committed to deliver the original vehicle and bill nothing. We provide a completely free service after sale. If the constructor erases your program, for an update for example, we input a new program taking into account this update and that over a period of 2 years. Your file is saved on our server. This unit is designed for reliability and performance reasons, in this perspective, vehicles evolved in a meaningful way in 10 years. What is an ECU made of? Our specialty is to optimize the parameters of the engine unit so that the tolerances of operation expand and we also modify the limiters the manufacturer installed in order to sell the same engine to different powers. Until 2007 a standard is established by the engine unit manufacturers for electronic components, a Motorola MPC 5XX processor unit, an E² ROM and a flash memory (chip) that contains the engine cartography settings, sometimes these settings are contained in the microprocessor which also includes a flash memory of smaller capacity. Our company sells the complete BMC auto brand: replacement filters, conical filters, dynamic carbon admission, oval air box as well as all the accessories of the BMC brand. 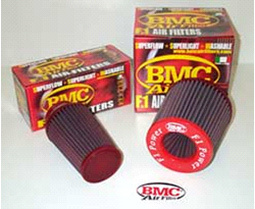 These top brand BMC air filters provide your vehicle with a better protection for the engine while increasing the air flow and thus performance. 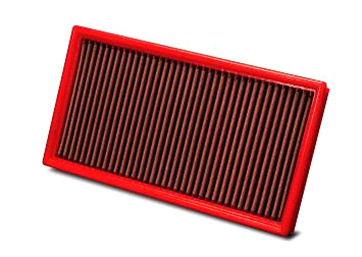 Replacement air filters are available for all types of vehicles. They are of planar or cylindrical shape, commonly called replacement filter, they are generally installed in the original air box, identical to the standard model. They differ however due to the materials used in their development. They allow a higher airflow combined with improved filtration quality. A conical filter installation requires disassembly of the original air box. It comes installed either on the entrance of the flow meter, or on the intake manifold. 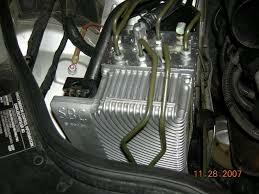 To get the best performance, it should be isolated from nearby heat sources located in the engine compartment. 2 lines of conical filters exist at BMC 2: single and double cones. Double cones offer the advantage of offering a superior filtration surface, which allows an increased air flow, an increase in power and a more sportive sound. This kit comes in place of the original filter set. Its principle is based on the use of a true carbon envelope in which a filter element is located. The CDA will use the speed of the car as a true accelerator. 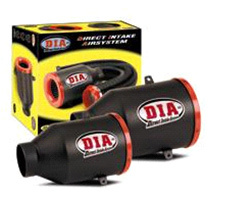 The more the car increases its speed, the more the amount of air that enters the CDA via its forced air intake is important. This same quantity of air is accelerated through the deflector located at the top of the filter element and thus enters in the engine “under pressure”. This excess air will improve the explosion phase, for additional power. 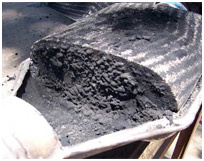 As for the carbon envelope, it acts as a heat shield, protecting the fresh air inside from the engine heat sources. The CDA then offers increased power and torque, a resolutely high-tech look and a much sportier sound. The latest at BMC offers a high performance ultra-filtration with a very sharp reduction in losses. In other words, a maximum of air with a minimum of impurities and dust. Its oval shape makes its installation in the engine compartment easier. Inside is found a trumpet-shaped device. Located just before where air enters the flowmeter, it goes and “powers on” the engine with air. This dynamic effect is directly related to its peculiar shape. The filtering set all coupled with this trumpet strongly reduced pressure drop regardless of engine speed, and fully maximizes the increase of air pressure function of the speed of the car. Line of air filter intended to fully fill the cylinders. Intended primarily for competition. New generation vehicles are full of electronic boxes. These enclosures are interconnected and share information from the different electrical systems and/or electronic systems of the vehicle. Several functions of the vehicle are directly dependent on the proper functioning of these boxes. The computers are equipped with a self-diagnosis system, they test each element and record all the anomalies detected, even the sporadic ones. Depending on the encountered anomaly, the computer lights or doesn’t light the led located in your meter connected to the failing system. This is why it is important to read, analyze and then erase these memories (even if no led is on) at each examination in order to anticipate a potential failure. 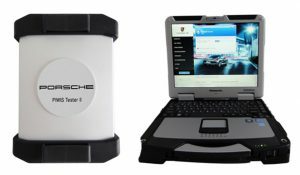 We are trained and equipped with multi-brand diagnostic tools that permit us to read the electronic boxes of all models. These interfaces allow us to perform some tests and actions that the said “standard” or “all brands” diagnostic equipment does not. In this way we can “identify” the problems more effectively and limit blind repairs. Since the end of the 1990s, the introduction of electronics helped improve the performance of vehicles in terms of safety, comfort and consumption. 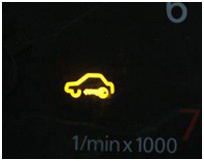 The failure of one piece connected to one of the calculators (computers) can cause comfort problems, overconsumption, lighting LEDs on the dashboard or even a broken engine. – Alteration of the automotive comfort (air conditioning…). – Lack of power of the vehicle. – Failure of a security system (ABS, ESP, Airbags, pretensions…). – Immobilization of the vehicle. From the car’s computer, what is multiplexing? Multiplexing is the technology used in computers since a very long time ago. It was introduced in cars at the end of the 1990s. Multiplexing reduces the number of sensors and beams allowing several boxes to use the information in a single sensor. The failure of a sensor can then have consequences, unexpected and difficult to explain. 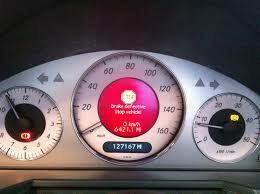 The volume of your car radio varies randomly and the engine management light stays on in the dashboard. The speed sensor of the car useful to your engine management and to your system permitting the adjustment of the volume of the radio depending on the speed of the vehicle is defective. We offer a full service ranging from the replacement of the battery, alternator and Starter looking for power failure. We are also able to search and solve the problems of power consumption. Explanation of the car charging circuit. The charging and starting system allows for the operation of the multiple electric bodies present on your vehicle (lighting, power windows, heated rear window…). It also allows for the launch of your engine through the starter. – When starting, the speed of rotation of the motor is low or absent. – The lighting intensity is low and reduces when other elements are turned on. – The speed of the windscreen wipers reduces. On certain vehicles (Opel) handling becomes hard as soon as the voltage is no longer sufficient. What happens when I turn the key? At the engine is launched, the starter consumes a lot of battery power. The starter is with the glow plugs, the largest consumer of power. 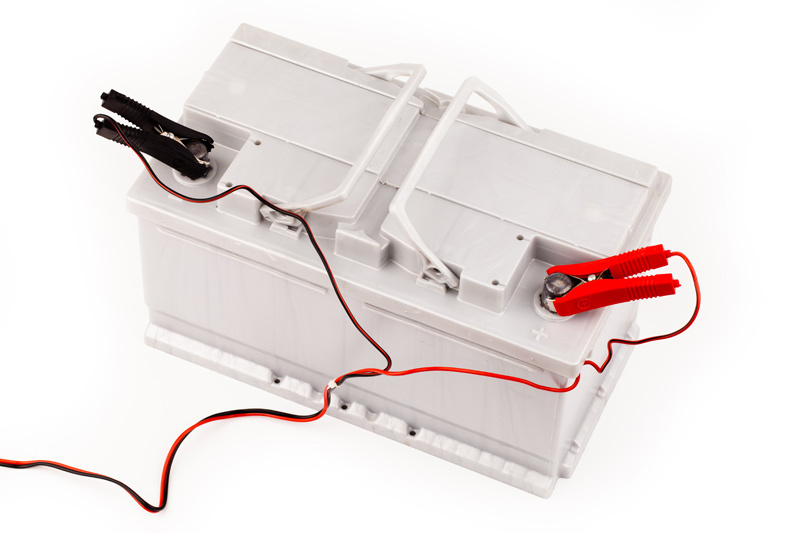 If the battery is not properly charged, it cannot provide all the necessary energy: the engine does not start. 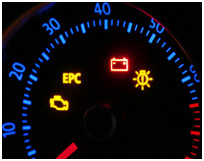 – The ‘battery’ indicator must light up when put into contact and turn off at the start of the engine. – Check the alternator drive belt and the tensioner. (If the belt breaks, the alternator no longer works). – The battery led should be green (if the battery is equipped with an LED). We are fully equipped to perform these checks. – Disconnect your battery terminals when your vehicle is parked for some time (over a week). Be careful with the auto radio code and with some comforts resets that should be reprogram when reconnecting. Always disconnect the negative (-) Terminal first and reconnect the positive terminal (+) first! – Some items require a lot of energy (rear window and windshield heating…), when using one of these elements, the engine must be running. – It takes a little more than 5 minutes to recharge a kick starter. Small repeated journeys will discharge your battery faster. – In winter, we solicit more systems energy consumers (headlights, rear window heating…). In addition, the cold diminishes the batteries ability to start. It is recommended to check our battery and alternator when winter starts. In some cases, a starter that still works no matter what, can prevent the engine from starting or make starting difficult. This is due to its wear, which decreases its speed of rotation. Lower maintenance charges and lower fuel consumption? Remove the particles filter! You have a problem with your particulate filter… Do not worry! We empty it physically and change the settings of the control unit to solve the problem forever! Lower optimum combustion and lower soot emission? Disconnect the EGR! Does your car show error codes which cannot be removed by the computer’s diagnosis or a replacement of parts? Some LEDs remain lighting on the dashboard despite your car’s perfect technical condition? We have the solution! 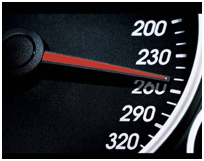 Do you want to definitely get rid of your car’s speed limiter? According to the housing that fits your vehicle, we can do it! Problems with the immobilizer in your car? Your car can’t start? Does it start and stall immediately after? The immobilizer is often the cause of this problem, a software error prevents the car from starting. Our Center of diagnosis can solve this problem for all car brands. Even the immobilizer of the ECU engine management system of EDC17 / MED17 type is no problem for us. NOTE: The possibilities vary depending on the year of the car. The more the vehicle is recent, the more there are possibilities. Miyagi Motorsport Pattaya can repair your SBC unit. 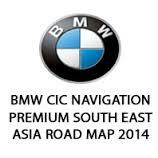 We can convert you European Map to East ASIAN Map for your Mercedes and Bmw. 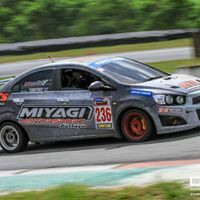 Miyagi Motorsport is specialized in the repair and maintenance of all brands.